The solid earth consists of the crust, mantle and core. The continental crust is divided into an upper granitic layer and a lower basaltic layer while the oceanic crust is composed of a thin sedimentary layer and the basaltic layer. The boundary between the crust and the mantle is the Moho discontinuity. Though the depth of the Moho discontinuity is at about 11 km in the oceanic regions and 30-40 km in the continental areas. the Moho depth beneath the Tibetan Plateau is at 70-80 km. Sometimes it is difficult to determine the Moho depth beneath the continental areas because there are two or more discontinuity planes, and in some cases it is not a plane but a zone, while in some cases a low velocity layer and transitional layer are intercalated within the crust. A characteristic phenomenon is that the Moho depths of the large sedimentary basins of the continental area are shallow and the depths of the basement of these basins are divided into two types, about 11 km and 5.5 km. The author considers that the depth of basement of the former continental basins and the Moho depth of the oceanic basins represent a peneplain surface which was formed in the Baikalian Stage (see Chapter 6). Between the uppermost layer of the mantle and the main part of the mantle, there is the asthenosphere, while the crust and the uppermost mantle layer comprise the lithosphere. The author considers that the accumulation of primordial earth materials was heterogeneous, while the chondrites which make the uppermost layer of the primordial earth are enstatite-like chondrites. Differentiation of these chondrites at the Granitic Stage (the Archean era) produced the atmosphere, hydrosphere, felsic crust and the residual ultrabasic rock layer (the uppermost mantle). Enstatitic chondrite is rich in Mg and poor in Ca. Calcium is an element with a high melting point, and it might have been accumulated at an early stage as the primordial earth's materials along with the high melting elements such as Uranium and others. The half life of 238U is about 4.5 b.y., thus it may be the main driving force for the melting of the lithosphere in the Basaltic Stage (Mesozoic and Cenozoic eras). The original materials of the asthenosphere may be high-Ca achondritic materials, and the partial melting of asthenosphere has mainly taken place since the Mesozoic era. It is important to recognize that, from a genetic point of view, the felsic continental layer and the ultrabasic uppermost mantle layer are bimoda1 layers, and the basaltic layer was formed at a later stage from the asthenosphere. Remarkable sea-level rising came into effect after the Mesozoic owing to the formation of the basaltic layer over the preexisting oceanic floor. Perhaps the young oceanic basic magma was intruded under older lava flows, because the sea-water layer is very light compared to the hard continental rock layer. Since 1962 the author has discussed the remarkable rise of sea-level during his Basaltic Stage (Mesozoic and Cenozoic eras). The sea-level rise of about 5000m since the late Jurassic is due to the formation of oceanic crust-itself created by the flooding and intrusion of oceanic basalt brought up from the asthenosphere. Simpson (1943) said that nothing could replace landbridge to explain the distribution of the terrestrial biota. Further, he suggested that accidental imigrations by oceanic current are applicable only when the case lacks other suitable hypotheses. Schuchert (1932) said that the main weakness of the idea of landbridge was the difficulty of explaining the removal (subsidence) of landbridges. The author is interested in the discussion by Charles Darwin in his book 'The Origin of Species'. He pointed out that the depth of sea which separates islands from each other or an island from the nearby mainland reflects a close relationship with the similarity of mammalian fauna between islands or continents. The author considers that Darwin's remarks are very important for the understanding of biogeography. The author believes that islands separated by deeper channel will be isolated earlier, and he maintains that this isolation should have begun as sea-level rose since the mid-Mesozoic. The curve which indicates the sea-level rise since the late Jurassic is shown in Fig. 8. The Juan Fernandez Islands : In the southeast Pacific Ocean, 600km west of Valparaiso, Chile, there are the three islands of Juan Fernandez. In these islands there are many endemic relict plants, but the flora does not resemble the flora of the same latitude of Chile, though it is similar to the flora of the southern tip of South America (Skottsberg in Cordon, 1949). The swell which hosts the Juan FerIlandez lslaIlds is linked to the southern tip of South America by the 4000m isobath. Skottsberg considered that this swell might be a part of South American continent. Stuessy et al. (1984) stated that the endemic fern Thyrsopteris resembles a very ancient type and similar types occur in the upper Cretaceous formations of Hokkaido, Japan. The oldest radiometric age of the volcanic rocks of the islands is 4.2 M.a., and all the islands consist of volcanic rocks (Stuessy et al., 1984). According to them, the flora of the Juan Fernandez islands is younger than 1 M.a., and the extinction of the similar flora of South America may be due to the change of climate since the Pleistocene. The islands, they state, have a hot spot origin and drifted eastward with the Nazca Plate. If their opinion is correct, it fails to explain the similarity between the flora of Juan Fernandez Islands and that of the southern tip of South America, and it also fails to explain the origin of the endemic flora of islands. Recent volcanic islands reveal only the last stage of their development history from evidence of that part of the island still above sea-level. In many cases we cannot determine the age of its basal part. It is very rare for all surfaces of the volcanic feature to be covered by ejected materials all at once, consequently it may be possible that the old biota of a volcanic island to survive till the present. The author considers that the endemic relict flora of the Juan Fernandez Islands was transported via the Cretaceous landbridge as shown by the 4000m isobath which links the islands with the southern tip of South America. The Solomon Islands / The New Hebrides Islands : Marsupialia are spread from New Guinea to the Bismark, Admiralty and Solomon Islands, and Tokuda (1944) concluded that these islands belong to the Australian Region. The isobath of 4000m extends from New Guinea to the Solomon Islands and this isobath also includes the Australian continent. The gap between the Solomon Islands and New Hebrides Islands corresponds to the junction point of the eastern part of the Solomon Trench and the northwestern part of the New Hebrides Trench, and the maximum depth of it is about 4500m. Consequently, the islands with marsupialia and non-marsupialia are divided by the gap with a depth of 4500m. According to the author's proposal, the Middle Cretaceous sea-level was lower than that of the present by 4000m, the connection between the Papuan and Polynesian subregions of Thorne (1963) might have been broken in the Early Cretaceous, and this event may be responsible for the distribution of marsupialia of this region. The gap of the depth over 4500m was an ancient channel that could not be crossed by ancestral marsupialia. New Guinea-Australia : The Torres Strait that divides the northern tip of Australia from New Guinea is a 130 km wide channel on the continental shelf. From the geological point of view, the area of the Torres Strait belongs to the Australian continent. According to van Bemmelen (1949), the northern limit of the Australian continent extends from the Aru Island to the Sahul shelf, Kolepom Island, then it extends to the Merauke Ridge along the south coast of the mainland of New Guinea_ The Merauke zone represents the edge of a gently warped area of the Australian continent. The Fly lowland which lies between the Merauke Ridge and the mainland of New Guinea is filled by marine sediments with thickness of 4000 m resting on a pre-Cretaceous basement (Hermes, 1974). The Fly lowland was thus a channel which separated New Guinea from Australia in Late Cretaceous and Tertiary times (David, 1950). The paleogeographical map of Audley-Charles (1978) shows that this area was covered by shelf sea during the late Trias and late Cretaceous. During the Late Cimmerian stage, the surrounding region was uplifted (Umgrove, 1947) , and landbridge between the Oriental region and Australian region could have developed during the late Jurassic and early Cretaceous. The exogeosyncline of the Fly lowland might have been formed after the Middle Cretaceous. This consideration is deduced from Ludbrook's (1978) description that terrigenous sandstone of the late Jurassic is distributed in the area of the Torres Strait, and the marine mudstone of the Aptian-Albian times which extends to northern Australia is also distributed in the Torres Strait area. The sediments of the Fly lowland show a Miocene/Pliocene unconformity (Hermes, 1974), but details are not clear. The depth of the basement of the Fly lowland is about 4000 m below the present sea-level, thus the author considers that from the Late Cretaceous to the early Neogene the Australian continent was separated from New Guinea by the palaeo-Fly Channel. At the heart of the biogeographic problems of the Australian Region is the origin of the monotremata and marsupialia. The time of immigration of marsupialia into the Australian continent might be the late Jurassic or Early Cretaceous, i.e. before the time of occurrence of the eutheria or their precusors. There are two opinion about the origin of the marsupialia. One favours a northern origin (Simpson, 1940 ; Tokuda and Kamei, 1981), and the other a southern origin (Jardine & Mackenzie, 1972 ; Raven & Axelrod, 1972 ; Colbert, 1982). Fooden (1972) said that the marsupialia of Australia and New Guinea are clearly of a more primitive type than those of South America, consequently the author considers that the view that marsupialia dispersed from South America to Australia via Antarctica may not be correct. There was no landbridge between North and South America during the late Jurassic to Early Cretaceous, therefore it was impossible to migrate the primitive marsupialia of North America to Australia via Antarctica in the Early Cretaceous. According to his theory of a remarkable rise of sea-level in the Basaltic Stage, the author proposes that the origin of the marsupialia of Australian Region as follows: the ancestral marsupialia of northern origin dispersed from southeast Asia to Australia via the "late Cimmerian" Landbridge. In that time, sea-level was lower than the present by about 4000 m. However, in Late Cretaceous times, i.e. the time of the appearance of the insectivora which were the primitive eutheria, sea-level rose and covered Fly lowland, and until the Anthropogene (Pliocene and Quaternary) there was no land connection between New Guinea and the Australian continent. The Australian continent was isolated from other continents front the nliddle Cretaceous, consequently the stock of monotremata and marsupialia in the Australian Region was kept in isolation. Fooden (1972) pointed out that the primitive mammals of New Guinea and Australia are descendants of late Jurassic or early Cretaceous ancestors. It is very difficult to explain the distribution of the marsupialia by using plate tectonics models. Audley-Charles (1981) urged that the eastern part of the Celebes, Lesser Sunda and New Guinea (where marsupialia are found) originally belong to Gondwanaland, and these fragments drifted northward to present positions. However, since the theory of monistical origin of the marsupialia prevails among biogeographers, and if the concept of a northern origin for marsupialia is agreed, then Audley-Charles' idea must be rejected. What is more, his theory can not explain the occurrence of elephant fossils in Timor and the Sumba Island (The Earl of Craubrook, 1981). Tokuda (1944) described how the marsupialia found their way into the Celebes and Timor Islands part of the Wallacean Province from the Australian Region. The marsupialia of the Wallacean Province are, however, wood-climbing primitives, thus the author considers that the marsupialia of the Wallacean Province are actually the descendants left behind in the course of dispersion from the northen hemisphere into the Australian Region. If it is possible for the marsupialia to cross from Australia to Celebes and Lesser Sunda Islands after Tertiary time, then by the same route many eutheria could migrate from the Wallecean Province to Australia. The land connection between Australia and Antarctica is only possible by the landbridge of the 4500 m isobath. Further, there is almost no resemblance between the fauna of the Australian and Ethiopian Regions, and only Pleurodira and Dipnoi occur in both continents, but they differ from each other at family level (George, 1968). There is no land connection shallower than the isobath of 4500 m between Australia and Africa. Galapagos Islands : The Galapagos Islands are situated at the tip of the Cocos Ridge, and the width of this ridge is about 200 km with a depth of about 1500m-2000 m. Between the tip of the Cocos Ridge and Galapagos Islands, there is a gap which is deeper than 2000 m but shallower than 2500 m. Jervis Island, located in the central part of the islands, is a small island of 2.5 km in diameter, and consists of tholeiitic ferrobasalt, icelandite, siliceous hedenbergite and trachyte. The top of the island is a dome feature of siliceous lava. and many ejected fragments of abyssal rock are found from there. Although many of them are olivine gabbroic fragments, they also contain hortonolite, leucodiorite and quartz bearing syenite. The author considers that some features of abyssal rocks of the Jervis Island show continental character. Charles Darwin, Agassiz, Simpson (l943), George (1968) and many other scientists explained the origin of the fauna of Galapagos through transport by oceanic currents. Vinton (1951) said that the Cocos Ridge was a landbridge during the early Tertiary, and animals of that time crossed the channel between the tip of ridge and the Galapagos Islands. Kuschel (1963) was against this opinion and urged that if the origin of the fauna of Galapagos was so old as the early Tertiary, one cannot explain the lower grade of specialization of the Galapagos biota than that of the Juan Fernandez Islands. Kuschel (1963) maintained that the origin of the biota of the Juan Fenlendez Islands dates from Eocene times and that of the Galapagos Islands was not older than the Plio-Pleistocene period. Already, the author has described his opinion that the origin of the biota of Juan Fernandez Islands might be the Cretaceous. The vertebrate fauna of the Galapagos Islands are related to those of the West Indies, which are of Middle American origin from the Tertiary period (Darlington, 1957). According to Schuchert (1935), the connection between Middle America and the Antillean Islands continued until the Miocene, i.e. past the late Eocene. Consequently, the ancestors of the Galapagos fauna could have migrated across the Eocene Cocos landbridge from Costa Rica to the Galapagos, the sea-level of the middle Eocene being lower than that of the present by 2500m. It is not a mystery that although the age of the rocks comprising of the Galapagos Islands is younger than 5 M.a., the history of its fauna goes back to the Eocene. Already Gutenberg and Richter (1954) pointed out the existence of continental crust around these islands, and the rock character of Jervis Island shows similar evidence. As we know from Hawaii, volcanic activity cannot extinguish an island biota. Using the isobath of -2000 m (the shore line of late been a large island about 300 km (north-south) by Miocene), the Galapagos Islands can be said to have 500 km (east-west). Lanyu (Hongtouyu) Island : The Lanyu island is a small island, located at 70 km east of the southern tip of Taiwan. Administratively it belong to Taiwan, but the endemic biota of the island does not resemble to that of Taiwan, rather it resembles the biogeographical province of remote islands of the Philippines or the east Malayan Archipelago. On this basis Kano (1933 ; 1936) proposed that the boundary between the Taiwan Island and the Lanyu Island is an extension of the Wallace Line. Merill (1934) described that there was no land connection between Taiwan and Philippine islands after the early Tretiary, and he pointed out the difference between the two floras. Tokuda (1969) said that the similarity of the biota of the Lanyu Island and the Philippine Islands was caused by the Kuroshio Current developing strongly north of the Bashi Channel, which is located between the Taiwan and Philippine Islands, and it also runs along the east coast of the Taiwan Clearly, if it transports the Philippine biota to the Lanyu Island, logically the same biota may also be transported to the east coast of the Taiwan near the Lanyu Island and such in not the case. There is, however, -2500 m gap between the Taiwan and Lanyu Island but there is a -2000 m submarine ridge linking Lanyu Island and the Philippine Islands. According to the author's concept, the gap separating the Taiwan and Lanyu Island existed in Eocene times, and the connection between the Lanyu Island and Philippine Islands was submerged during the earliest Pliocene. Madagascar Island : Madagascar Island is said to have existed in its present position since the early Paleozoic era (Kent, l976), and some scientists have stated that the floor of the Mozambique Channel consists of oceanic crust (Laughton et al., 1970), but other scientists have said that it is not typical oceanic crust (Talwani, 1961). The author considers that the basement of the channel is intruded by basaltic rocks as in a rift valley. The submergence of the channel took place after the Eocene (Kent, 1974). The depth of the deepest part of channel is about 2500 m, and data from DSDP site 242 (water depth 2275 m, drilling penetration 676 m) show late Eocene sediments, which contain shallow-sea limestone fragments, and Neogene benthic foraminifera which existed at depths greater than 2000 m (Shipboard Sci. Party of Site 242, 1975). The modern fauna of Madagascar Island consists of primitive primates, such as lemur and others, that appeared by the Eocene period, but there are no bufo, poisonous snakes and large mammals which appeared elsewhere after the Oligecene (George, 1968). However, fossil pygmy hippopotammi of the Plio/Pleistocene times have been reported. de Beaufort (1951) stated that this mammal crossed over the Mozambique Channel in the Pliocene period. Simpson (1951) suggested that land connections between Africa and Madagascar occurred repeatedly, and that the fossil hippo migrated in the Oligocene. Deigman (1963) pointed out that the Pliocene was not a time of prosperity for hippo but rather a time of extinction. The author considers that the appearance of hippo was older than the common concept (Hoshino, 1983). Many biogeographers and paleontologists consider that the separation of Madagascar Island from the African continent took place in the Palaeocene to early Eocene and corresponds to the time of probosidian, hyracoids, simian and primate, which make up the main component of the African fossil mammals (Fooden, 1972). During this time sea-level was lower. than the present by about 2500 m, and Madagascar was thus combined with Africa by the landbridge. The Wallacean Province : The Wallacean Province is a mixed area of Oriental and Australian Regions ; its western boundary, the Wallace Line, coincides with the continental shelf edge of the Southeast Asia, but the site of Waber Line is unclear and depends on several differing opinions. With the exception of the small islands in the northeastern corner. of the inner. Sunda arc, the islands of the Wallacean Province are linked to the Asian continent by the 2000 m isobath, however, the width of 2000 m isobath is very narrow or interrupted by gaps between the Sula and Obi Islands, and the Tanimbar and Barbar. Islands. The 2000 m isobath of the Australian continental margin passes through the Australian continental slope of the Timor Trough to the Kai Trench, then passes between the Obi and Sula Islands to the Molucca Strait. At first (1894) the Waber Line was drawn along the deep depression of the Timor Trough and the Kai Trench ; in short, the site of the early Waber Line coincided roughly with the shelf edge of New Guinea and the Australian continent. However, later. the Waber Line passed the western channel of the Buru Island and the channel between the Obi and Sula Islands. This line coincided with the site of the strait of Miocene time which corresponds to the -2000 m sea-level stage of the author. (Hoshino, 1975, 1983) ; thus the western islands of this 'strait' belong to the Miocene Asian continent. George (1968) said that it is difficult to determinate the southern site of the Waber Line. The author considers that the problems reflect the paleogeographical map which can be drawn by the 2000 m isobath. In this map, at a place off the eastern part of Timor lsland, the 2000 m isobath forms a narrow isthmus but the land connection continues to Tanimbar Island. On the other hand, the 2000 m isobath between the Obi and Sula Islands is almost ruptured at this position, so the author considers that many of Oriental terrestrial mammalian animals did not cross over this strait, but only a limited population crossed. Some biogeographers deny the significance of the Wallace Line. However, the Waber Line cannot take the place of the Wallace Line. The former is the boundary of the Southeast Asian continent in the late Miocene, and the latter is that at the maximum of the Wurm stage. Tokuda (1944) suggested that the mammalian elements of the Lesser Sunda, Celebes and Philippine islands which are situated east of the Wallace Line belong to the Oriental Region and they are elements of the antique Oriental fauna. George (1968) stated that it is impossible to draw only one boundary line between the Oriental and Australian Regions and the author considers that this reflects a natural result from the changes in paleogeography with the passage of time. In the Wallacean Province there exists a relict terrestrial fauna of the Cretaceous, and the fauna of the Miocene and Villafranchean stages are overlapped. The limits of the palaeoland during the Miocene is represented by the 2000 m isobath and the Villafranchean by the 1000 m isobath. Many ideas are put forward to explain the distribution patterns of the world biota, however, each concept contain some paradoxes. For many long years several outstanding scientists argued that the concept of the landbridge best explains the distribution of terrestrial biota, but nevertheless, they were unable to explain a mechanism of the subsidence of their landbridges. The author urges that the subsidence of landbridge is not necessary, rather they were submerged by sea-level rises since the late Jurassic. The periods of a marked rise of sea-level were the late Jurassic, the middle Cretaceous, the Eocene/Oligocene, the earliest Pliocene and the early Pleistocene. Changes of sea-level are fundamental to the problems for biogeography. Most of the marginal sea basins and inland basins are divided into two categories : the first has the Baikalian basement, the depth of which is about 11 km ; the second has the Variscan basement and the depth is about 5 to 6 km. Though almost all geologists consider that the floors of sedimentary basins represent subsided continental crust, the author considers that the depth of these floors represent the stable Baikalian and Variscan sea-level (i.e. the peneplain surface of each stage) because of the global uniformity of the basement depth. Taylor and Hayes (1983) concluded that the crustal structure of the South China Sea basin is oceanic, and the thickness of the crust is thinner than that of the Pacific Ocean. They considered that the layers 2 and 3 are the basaltic component, but the author thinks that it may be of continental character because of structural patters. Though they say that the Moho depth is 10.3 to 11.8 km, the author argues that this seismic record shows the basement surface. According to Haung and Ren et al. (1980) there are two orthoplatforms in China ; one is the Tarim basin, and the other is the South China Sea basin. Age of the basement, from the drilling of a coral island of the western South China Sea basin, is 620 m.y. Many author have presented several ideas on the origin of the Black Sea basin. Milanovsky (1967) said that the basement of the Black Sea basin continues to the Moesian platform which has a Baikalian basement. The basement of the eastern basin of the Black Sea is at about 12 km depth. but in the western basin it is not defined. Morelli (1985) shows that the basement depth of the Ionian abyssal plain of the East Mediterranean is about 10 km, and Lort (1977) shows that the surface depth of the crystalline basement of it is 10-12 km. The author considers that the crystalline basement of the East Mediterranean basin may be an extension of the Baikalian African platform. The Adriatic Sea basin, which is referred to as the 'African promontry', also has a similar depth to basement ( d'Argenio, 1975 ; Tab. 1). The basement depth of the northern Gulf of Mexico is not so clear, but it is about 11 km. Several geologists consider that the northern Gulf of Mexico has a Palaeozoic Appalachian basement, but Paine and Meyerhoff (1970) described older basement which exist under the Gulf geosyncline. The Baikalian basement of the Florida Channel is 11 km in depth. There is upper Jurassic evaporite on the southern floor of the Gulf of Mexico, the depth of which is about 5 km. The basement of the Mexico and Yucatan Peninsula are Variscan. We can see similar conditions between the Gulf of Mexico basin and the West Siberian Platform, namely, the southern basement is the Variscan and the northern part is the Baikalian basement. The upper Amazon basin which is developed on the Guinea shield has a Baikalian basement at 11 km, and the depth of the upper Jurassic is about 5 km (Baldock, 1982). Kosygin (1987) described that the depth of the basement of the peri-Caspian basin at 11 km, and Beloussov (1984) assigned the age of the basement to the Riphean stage. Similar to the East Equador basin and the southern Gulf of Mexico, the Jurassic formation is found in the Turanian basin at about 5 km ill depth. Saunder (1980) reported that the basal sedimentary layer of the Venezuela basin may be Jurassic. Depth of this basement is about 5.5 to 6 km. The Venezuela basin is divided into two basins by the Beata Ridge trending north to south. This ridge consists of Mesozoic and Tertiary sequences, and Fox and Heezen (1975) considered that the sequences of the ridge are correlatable with the profile of the basin. The author thinks that similar conditions exist between the structure of the Japan Sea basin and Yamato Bank. Though there are controversies about the origin of the Japan Sea basin, the author supports the idea of Minato and Hunahashi (1982) and Choi (1984). According to their ideas the basement of the Japan Sea basin is Variscan rocks, and their depth is about 5 km. Wezel (1985) and other geologists consider that the crustal structure of the abyssal Tyrrhenian basin is of oceanic type, but the author considers that there exists a Variscan basement as according to Heezen et a1. (1971). Depth of basement of the Tyrrhenian basin is about 5 km (Boccaletti and Manettii, 1975, Fig. 14). In the Sungalie-Laoh basin, Northeast China, the biggest oil field of China, the deepest part of the Jurassic cover rocks lie at about 5 to 6 km in depth and the basin is surrounded by the Variscan orogenic belt (Wang Hongzhen, et a1.,1985). The iso-base line of West Siberian platform is at about 5-6 km (Rudkevich, 1976), and basal sedimentary layer of this basin consists of Triassic formations (Nestrov, 1984). The latest orogenic stage of the crystalline basement of the Pannonian basin is late Palaeozoic (Beloussov, 1986) , and the depth of the basement (5.7 km/see layer of Stegena et al., 1975) is about 5 km. Kosygin (1987) described that thinned crust is a characteristic feature of many Mesozoic and Cenozoic marginal and inland basins which were produced by surface subsidence and the elevation of the Moho. On the crust of Pannonian basin, Stegena et al. (1975) described that the thinning of this crust has resulted from subcrustal processes, because the thickness of the upper crust is normal, but the lower crust is very thin compared with normal continental crust. However, the uparching Moho plane clearly corresponds with the arching surface of the basement. Thus the author urges that the main factor of crustal thinning is the surface erosion of the basement materials. Up-doming of the basement was formed by the lifting of the so-called mantle cushion or layered rocks in the Transitional Stage (Proterozoic and Palaeozoic eras). These mantle cushions have no relationship with deep fault and rift valleys and they may relate only to the median massifs (platforms). Beloussov (1984) says that the marginal sea basins of the western Pacific are median massifs and the outline of island arcs are controlled by the contour of median massif. The author thinks that all Phanerozoic broad basins have a similar origin. Kosygin (1987) introduced Yanshin's idea that there is no relationship between the thickness of the crust and the median massif, but the author cannot agree with Yanshin, because he determined the Tibetan Plateau as a median massif. The Kunlun and Himalayan mountains are not a marginal geosyncline of the Tibetan Plateau, but they belong to the marginal miogeosyncline of the Tarim and Indian median platforms. The Tibetan Plateau has a very thick continental crust, and thus it is not a median massif. The author considers that there is a close relationship between the median massif and the broad doming of the Moho plane : that is, the thinning of the continental crust. Moreover the median massif is a platform. It is well known that platforms are divided into the old Riphean platform and the young Variscan platform. Nesterov et al. (1984) described that the young platform of the west Siberian lowland has Baikalian basement in the central part of the lowland, and its marginal parts consist of Variscan basement. Because the central part of the median massif is the area of the greatest uprising and strongest erosion, then the oldest basements occur in the central part of the median massif. Minato and Hunahashi (1982) said that the Japan Sea basin is a paraplatform of T.K. Haung. Haung (1984) pointed out that the typical paraplatform is the Yangtzu paraplatform and the Yenshan movement developed in the area of the middle and down stream sectors of the Yangtzu River. The Yangtzu paraplatform continues to the middle and southern Korean Peninsula, and Rhodonikov and Khain (1971) reported that the Pyeongyan graben continues to the Japan Sea basin. Milanovsky (1982) reported the high heat flow in the median massifs of the Mediterranean belt, thus the author supposes that the high heat flow of the Japan Sea basin reflects an activated structure. The author has examined every publication about rapid crustal subsidence, but he could not obtain any simple answer. It is especially difficult to explain the genesis of horizontal non-disturbed sedimentary layers of marginal sea and inland basins by crustal subsidence, and it is difficult to explain the globally synchronous rapid crustal subsidence of the Basaltic Stage. Since 1962 the author has favoured remarkable sea-level rising since the late Jurassic, when sea-level was 5 km lower than that of present. Tremendous uprising of sea-level in the Basaltic Stage might be due to the formation of the oceanic crust. In this article the author proposes that the sea-level of the Baikalian stage was 11 km lower than that of the present. It is impossible to explain the rising of sea-level in the Palaeozoic era by the concept of the formation of the basaltic layer of oceanic crust. Thus, the author considers that the sea water of the Baikalian stage was situated in the place where the Moho plane was deeper than 11 km. Such places were changed into mountainous provinces on the ocean floor and continents. The author is inclined to deny the idea of an increasing volume of sea water in the Phanerozoic era. Yanshin (1974) declared that the geologist who believes in the eustatic movement of sea-level is not a naturalist but a nature legislator, that is, a man who makes nature. However, the author believes in the sedimento-eustatic rising of sea-level in the Transitional Stage and the basalto-eustacy of sea-level in the Basaltic Stage. The author considers that the marginal sea basins are the residual median massifs, and that they are not subsided basins but rather the 'left behind basin' between uplifted marginal geosynclinal zones. There is another type of residual basin, Kosygin's land-sea depression (Kosygin, 1987). One example of it is the North Sea basin ; the southern part of the basin crosses the Variscan trend of North Europe, and the depth of the Variscan basement is about 5 km. However, this province is not a median massif, but a rift valley. Thus the author points out two types of residual basins ; one is the inheritance of a median massif of the Transitional Stage and the other has a rift origin of the Basaltic Stage. The Moho plane of the former is broadly up-doming. While the latter does not have any up-doming Moho plane. In the Granitic Stage (the Archean era) , there were global distributions of mobile belts. However, at the Transitional Stage (Proterozoic and Palaeozoic eras) the earth's surface was divided into platforms and geosynclines. The platforms were formed due to broad domal uplifting of the crust by the intrusion of layered rocks which were produced by the mixing of ultramafic and basic magmas. The author argues that these orthogeosynclines are not subsided parts of the crust but were '1eft behind furrows' consequent upon the rising of the platforms. Plentiful sedimentary materials were supplied front emerging platforms into the marginal geosynclines. These establishment of the platforms occurred in two stages : the late Baikalian and the late Variscan. The former is the older platform and the latter the younger. The surface of the basement of these platforms are peneplains which represent Baikalian and Variscan sea-levels. The depth of basement of many old platforms is at about 11 km, and that of young platforms is at about 5.5 km. Deep faults and other fault groups occur at the boundary between the platforms and the eugeosynclinal furrows. The boundary areas between platforms and eugeosynclines changed into miogeosynclines as transgression resulted from sedimento-eustatic rising of sea-level in the Transitional Stage. In the Basaltic Stage, active tectonism came into operation on the platforms, and many marginal sea basins changed to typical paraplatforms. Activity in the Basaltic Stage produced blocks of crustal massifs and the anatexis granites. The driving force of activation was basic magma from the asthenosphere. Though many geologists believe that geosynclinal sedimentation in connected with the subsidence of the earth's crust, the Alpine geosynclinal sedimentation commenced with deep-sea facies. The Jurassic Alpine geosyncline is referred to as a leptogeosyncline (Trumpy, 1955), and the Jurassic period of the Mediterranean geosyncline is described as the period de vacute (Aubouin, 1965). These phenomena reflect rapid submergence due to the rising of sea-level. The so-called geosynclinal furrow of the Basaltic Stage is a furrow of rift origin, and a remarkable transgression of Jurassic times changed these furrows into the deep narrow sea basins. The author, therefore, considers that the genesis of the geosynclines of the Transitional Stage and of the Basaltic Stage are essentially different from each other. Rifting is an expression of Earth's expansion. Earth's expansion will be expressed in the oceans by a sea-level rise, and in the continents by the uplift of the land surface ; both being due to the expansion of asthenospheric materials. The nature of the uplift will vary according to the regional geology and geologic structures. Rifting is a product of strong uplift of a cratonic province. 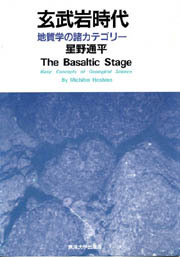 The author defined the age since the Triassic as the Basaltic Stage, and pointed out several geologic characters about this stage (Hoshino, 1981). Rifting is a typical feature of the Basaltic Stage : the history of the Red Sea was started in late Jurassic times as indicated by the fault developments in Lebanon (Duberter et a1., 1970) ; the North Sea rift basin started in the late Cimmerian (Ziegler, 1975, 1978) ; the East Airican rift system (Burk & Whiteman, 1973), the Bohai Bay of northeastern China (Wang & Li, 1983) and the Parana rift province of south America (Herz, 1978) were all started in late Jurassic times. Rifts in the continental margin of the Atlantic and Indian Oceans also began at the late Jurassic (Hoshino, 1983). While the major rifts belong to the Basaltic Stage, the most violent extensional period of that stage is the Anthropogene Period. (Neotectonic Period) i.e. the pliocene and Quaternary (Hoshinu. l975). The extensional stage of the Anthropogene in divided into two substages, namely the earliest Pliocene (Pontian) and the early Pleistocene (Villafranchean to Sicilian), and during these substages sea-level twice rose about 1,000m. The opening and regenerating of main rifts of the world and the Median Tectonic Line of the Japanese islands occurred at the same time. The volcanism of continental rifting has striking characteristics in space and time. Firstly, all alkaline basalt is distributed on the flanks of a rift while a tholeiitic basalt floods out in the rift valley (Bridwell & Pozick, 1981). Examples of this can be seen in the Afar province of the East African rift system (Neumann & Ramberg, 1978), in Iceland (Neumann & Ramberg, 1978), in the Kenya rift (Lippard & Truckle, 1978) and in the Rio Grande of southwestern United States (Lofgen et al., 198l). Secondly, volcanism in the early doming-up stage of rifting is characterized by alkaline rock and that of the later rift valley stage by tholeiitic basalt. Examples are seen in the North Sea (Ziegler, 1978), the Red Sea, the Gulf of Aden and Ethiopia (Gass, 1970), the Kenya rift (Baker et al., 1978) and the Oslo graben (Sgalstod, 1978). Though many scientists consider that cause of these chemical changes with time in volcanic rocks is the upward movement of the magma chamber, the author urges that in the early doming stage high pressure is caused by a hard granitic cap rock and the uprising mantle diapir, consequently high pressure contaminated rock such an alkaline volcanic rock could be created, while, after the deep fault of a rift valley was completed, deep origin tholeiitic magma could rise directly through the deep fault, After 200 Ma major activity of alkaline volcanic rocks commenced, and this phenomenon may be correlated with the genesis of high pressure rocks such as kimberlite. This mode of rift volcanism may also correspond with island arc volcanism. Though the Miocene volcanic rocks of northeastern Honshu, Japan, are spread throughout the area, volcanoes of the Anthropogene Period occur only in the western half of the area, and the eastern margin of volcanoes is called the volcanic front. Between the volcanic front and the Japan trench, there are no volcanoes. Tholeiitic rocks occur near the volcanic front. This phenomenon corresponds with the rift volcanism which is in the process of moving its activity from the flank of the rift valley, i.e. rising center of a mantle diapir and a tholeiite spread in the rift valley. Rising mantle materials between the volcanic front and the trench rise toward the marginal swell on the oceanic side of trench. The fact that no volcanic activity since the Oligocene occurs on Puerto Rico Island of the Great Antilles, with no volcano on the outer arc of the double arc, could be due to factors related to the evolution of the volcanic front. The genesis of andesites distributed, characteristically, in the young orogenic zone is controlled by the shallow cap rock. In the case of a hard granitic cap rock. it occurs as a high pressure-mineral bearing andesite, such as garnet bearing andesite. Doming uplift which precedes the formation of rift valleys has an essential relation with valley depression. E. Suess opposed the idea of uplift of the earth's surface as a result of the earth's contraction, however, the author, who favours the concept of earth's expansion (not as large an expansion as Carey, 1976, but on a scale of expansion in the Basaltic Stage of say only 10 to 20 km of the earth's diameter), opposes the idea of depression of the earth's surface, such as in trench, rift valley and intramontane basin. The author only accepts subsidence of the earth's surface in the case of ejection of interior materials by volcanic activity and/or compaction (Hoshino, 1981). The wedge shaped form of a rift valley cannot be subsided without the accompanying ejection of deep mobile material because the interior of the earth in not empty (Holmes. 1965). Though the Baikal rift was formed with less volcanic activity than the Gregory rift, the degree of depression is much larger, thus it is impossible to explain the depression of the Baikal rift as due to the ejection of volcanic materials (Beloussov, 1979). Bridwell (1978) considered that the direction of the movement of a rift floor is upward due to the physical process ot rifting, and Bhattacharji & Koide (1978) stated, as the result of numerical experiment, that the relative depression could occur on the top of a domed uplift. Rutten (1969) wrote that the genesis of the Paris Basin was not due to the subsidence of the basin floor, but to the uplift of the surrounding surface. The intramontane basins of the Japanese Islands have a similar genesis. An intramontane basin is a depression formed between two uplifted zones (Beloussov, 1979). Though Beloussov described the typical mode of orogeny of central Asia as neotectonic re-activation and that a special feature of this mode is predominant uplift rather than depression, in the Neotectonic Period (Anthropogene Period of this author) great uplift has occurred not only in orogenic provinces but in cratonic provinces (e.g., Afro-Arabia, Gass, l970) and plateau areas (e.g., Tibet plateau, LI, 1984). This means that the uplift in the Anthropogene Period is a global phenomenon. Sea-level rose about 2000 m in this Period, and the Anthropogene is the time of remarkable expansion of the earth due to basaltic activity. Granitic rocks are exposed on the surrounding highland of the intramontane basins of the Japanese Islands, and this evidence shows remarkable upheaving of those areas. The distribution pattern of intramontane basins in controlled by the ancient geologic structure of orogenic zones, just as the rift pattern is controlled by the old geologic structures of the cratonic province. Rifts and geosynclines in the Basaltic Stage have a common origin. In the typical geosyncline a long period of depression, folding activity, granitic magmatism and regional metamorphism took place during its development. However, as de Sitter (1956) said, it is difficult to distinguish some geosynclines from general sedimentary basins. Some rift valleys have thick fill of sediments and the relationship between rift basins and geosynclines is a debatable subject. Kay (1951) described the Triassic-Jurassic sedimentary basin of the northeastern United States which is limited on both sides by high angle normal faults, and he gave it the name taphrogeosyncline (rift geosyncline), furthermore he described the geosyncline defined by Dana (1873) as the same type. Milanovsky (l981) argued that the distinction between an aulacogens (failed-rift basin) and geosyncline becomes clear after the Mesozoic era, and said that a rift basin is analogous to a miogeosyncline. The North Sea rift basins started from the late Jurassic abyssal plain (Ziegler, 1975) ; in this it is similar to the Alpine orogenic zone (Aubouin. 1965), the Great Antilles (Khodley & Meyerhoff, 197l) and the Shimanto geosyncline of Southwest Honshu, Japan (Hoshino, 1983) , all of which started with abyssal sediments. In regions where these was no tectonic movement to deform the framework of the sedimentary basin after the formation of rift basin, the depth of the earliest sediments show the sea-level at the time of its formation. Conversely, in the regions where activity of the mantle diapir continued even after the rift formation, rejuvenated granite was produced and the rift basin became a geosynclinal basin, as in south-eastern China. Ching (1977) called it a geodepression (rift depression) and Haung (1980) described it as a geosyncline. The rejuvenated granite in the Basaltic Stage was produced front Crustal materials, and water from sedimentary strata and heat from the mantle diapir played important roles (Hoshino, 1983). The author considers that a inversion of a rift basin (Milanovsky, 1981) suggests the continuation of deformation of strata and the activity of the rejuvenated granite caused by the uprising mantle materials. Heezen (1960) maintained that a rift valley grows into an ocean basin due to spreading by the mantle diapir, however, the processes of rifting could be started from dome-shaped uplift and ended in the rift valley stage. After the formation of the rift valley (deep fault), mantle materials were flooded over the surface as flood basalts, and uprising mantle materials could not separate the continental crust. Gass (1970) expressed the view that new oceanic crust of a width of 50 km had been created in the Red Sea province since the Miocene, however, the latest Miocene evaporites extend from the Mediterranean to the Red Sea (Stoffern & Kuhm, 1978). This suggests that the deeping of the Red Sea floor was not due to crustal subsidence but due to the rising of sea-level in the same way as in the western Mediterranean (Hus et al., 1973). Furthermore, the origin of the Red Sea dates back to the late Jurassic, not to the Neogene Period. Though the Tyrrenian rifted basin with high heat flow has a suboceanic crust, its floor consists of Palaeozoic metamorphic rocks (Milanovsky, 1982), and the author considers that similar. conditions apply to the Red Sea floor and the Okinawa Trough. The author considers that it is impossible for a rift valley to grow into oceanic basin. Many scientists maintain the separation of 'Gondwanaland' since the late Palaeozoic era. However, separation of the southern continents is not due to the continental drift or break-up, but due to submergence of landbridges (Hoshino, 1983). Originally, Tethys was defined as the narrow east-west sea-way of the Jurassic period (Suess, 1893). Recent problems related to Tethys are closely linked with the concept of continental drift and the closing of the broad Tethys ocean. Many plate tectonicists urge, based to paleomagnetic data, that Tethys was a broad triangular, ocean, and, based on ophiolitic suites, it had oceanic floor. The author considers that the uplifting of crustal blocks is always accompanied by the rotation of blocks, and thus it is difficult to determine a palaeogeographical position of the pole by palaeomagnetic means ; furthermore, he believes that the deep sediments of the Tethys trough do not represent the deep ocean, but only represent a pelagic environment, and hence the ophiolite suites may be not a slab of oceanic lithosphere. The ultrabasic rocks of the southern Tibetan suture zone produce diamonds and they have a deep root. Characteristic rifting block movements began after the Jurassic period, and, at the same time, sea-level rose remarkably. The magnitude of sea-level rise from the late Jurassic to middle Cretaceous was about 1,000 m. The Tethys Ocean was formed by transgression over the axial rift valleys and broad peneplain which was constructed in the late Palaeozoic to Triassic times. There was scant sediment supply to the axial graben owing to the broad epicontinental shallow sea, thus the graben is called a leptogeosyncline. At present, there are many terms with respect to Tethys, for instance, Paratethys, Palaeotethys, Meso-tethys and Neotethys and so on. However, the author urges that the use of 'Tethys' be limited to the characteristic Jurassic Mediterranean sea passage as described by Neumayer and Suess. We know that the block or rift movement of the earth's crust and the remarkable transgressions into these rifted furrows was not limited to the Tethys region but was a global event. The author concludes that the Tethyan phenomenon was not due to the drifting of the Gondwanaland. To the north of the Tibetan Plateau lie the Kunlum Mountains and to the south the Himalayan Mountains. These mountains are located above the slope of the Moho plane which deepens beneath the Tibetan Plateau. Generally, these locations are the place of miogeosynclines. Some geologists argue that the Himalayan Mountains are not in a geosynclinal region but are the margin of the Indian platform, while others say that it is a geosyncline of late Proterozoic to eally Palaeozoic times and after Ordovician times it changed to be part of the Indian platform. In either case, the disturbance of the Proterozoic and Palaeozoic strata which make up the Himalayan Mountains in not remarkable. As with the Himalayan Mountains, it is unclear whether the Tibetan Plateau belongs to the geosynclinal province or platform. Though in the uplifted parts of the plateau the Archean metamorphic rocks are disturbed, the main geological formations of the Tibetan Plateau are characterized by thick underformed sedimentary layers, and this is supported by aeromagnetic surveys which suggest a uniform basement. The thick crust of the Tibetan Plateau shows no indication of mantle plume, no uplift, and no erosion of crustal materials. The author thus considers that this plateau is not a platform but a geosynclinal region, which is characterized by poor continentalization. The uplifting of the Himalayan Mountains and the Tibetan Plateau took place in the Neotectonic Period, and the main tectonic features of these regions are the N-S trending tensional faults and related basaltic activity. The crustal cross section of the Tibetan Plateau shows the intercalated low velocity layers which are the source of high terrestrial heat flow. The author considers that these low velocity layers show the existence of large intruded basic sheets which originated from the asthenosphere. The uniform uplift of the plateau has taken place owing to basic sheet intrusions into the layer of low grade continentalization. The Himalayan uplift occurred in the same period and same manner. However its style of uplift is a block movement, because the structure of the province shows complex miogeosynclinal features. Qureshy (1969) has already pointed out that the uplift of the Himalayan Mountains was due to the intrusion of basaltic sheets. The plate tectonicists consider that the Ganges-Tsangpo zone is the suture between the Gondwanaland and Eurasian continents. But this zone has been a typical Tethyan rifted valley since late Jurassic times. The ophiolitic ultrabasic rocks of this zone have a deep root and contain diamond minerals, thus it may not be the remains of oceanic lithosphere. Seismic surveys show the fault zone dipping to south, so it is impossible to ascribe it to the subduction of the Indian plate (Ji Ping, 1982). The formation of the Main Central Thrust of the Himalayan Mountains may be related to the intrusion of Miocene granite, and has no relation to the uplift of the mountains. The Main Boundary Thrust is the product of marginal vergence due to the uplift of the high Himalaya, and this listric fault has no relationship with the subducted slab of Gondwanaland. Neotectonics describes the tectonic movements of the late Tertiary and early Quarternary (Obruchev, 1948). Particularly, it means the tectonic movements of the early Pliocene and early/middle Pleistocene times. Nentectonic movement is a product of global crustal uplifting, and all high mountains of the world were produced in this period. The formation of the deep faults and remarkable rift valleys is also a major feature of this period. The deep fault is very important, because it has a role of being a vent for rising basic magmas from the asthenosphere. These basic magmas were intruded into the crustal layer as sheets, 1accoliths, and thus promoted the uplifting of upper crustal layer. Crustal uplifting of such a style is Gilbert's 'epirogeny', and in many cases these uplifts produced block massifs. Contemporary with marked crustal uplifting, sea-level also rose remarkably. The sea-level of the late Miocene (Messinian Stage) was lower than that of the present by 2,000 m ; in early Pliocene times sea-level rose about 1,000 m, then in the early Pleistocene it rose again by about 1,000 m. These remarkable rises of sea-level were caused by the formation of a vast basaltic layer on the ocean floor. The volcanic activity of the Neotectonic Period is characterized by global violent ignimbrite activity. The genesis of ignimbritic magma may be ascribed to the heat supplied from basaltic magma, H2O from rising sea-water and the raw material of felsic basement rocks. After the early Middle Pleistocene, volcanic activity became weak, and strato-volcanoes appeared on the acid lava plateau. Weakening of the volcanic activity brought about a low CO2 content in the atmosphere, consequently the glacial period came to existence. Remarkable tensional uplift of the earth's crust in the Neotectonic Period was accompanied by marginal vergence. The thrust in the landward boundary of the oceanic trench seems to be a listric fault of similar character. Eskola (1927) suggested that anatexitic granite may be produced from a suitable supply of felsic raw materials, heat and water. At present, most of petrologists consider that the calc-alkaline igneous rocks, including Mesozoic and Tertiary granites, were formed by the differentiation of mantle materials. This view has been accelerated by Sr-isotope geology since 1960s. However, Sr and other primordial elements are not limited to original magma but also transfer to mixing magmas, so the low 87Sr/86Sr value of calc-alkaline rocks does not always prove its magmatic genesis. Granitic batholiths are situated on the marginal parts of median platforms or in the miogeosynclines. Recent calcium isotopic study of the Cordillera Batholith of U.S.A. (Marshall & De Paolo, 1989) gave proof of the crustal origin of this batholith, and several other papers also reached the same cunclusion. The heat source of the granitic batholith of the Basaltic Stage might been supplied from the basaltic magma via deep faults, because there is a very clear relationship between granitic batholiths and the deep fracture zones of the world. These deep faults play the role of venting basic magma from the asthenosphere. At present many petrologists in Japan consider that the water contributing to the genesis of granitic magma is supplied from subducted oceanic crust. The author, however, suggests that it is impossible to recognize the subduction of oceanic plate at the oceanic trench from the geological, geophysical and biological view points (Hoshino, 1983). Matsumoto (l970) pointed out a very interesting event showing a close relationship between the stage of Cretaceous granitic intrusion (125-120, 95-90, 65-60 m.y.) and the formation of marine strata, and he urged that these two geological phenomena must be explained with coherent concept. The author considers that the formation of the granitic batholiths of the Basaltic Stage was due to the supply of water from transgressive sea-water and formation of large inland lakes. Granite of the Granitic Stage (Archean era) was born from primordial ultrabasic materials together with the atmosphere and hydrosphere. In this stage the heat source (40K) was contained in the primitive ultrabasic rocks. The main granites of the Transitional Stage were formed from the geosynclinal sediments which were derived from the upper felsic rocks of uplifted median massifs. The granitic batholiths of the Basaltic Stage were produced as an anatexitic granite. In this case the driving force for melting of crust was the heat from ascending basic magma and the water was supplied from the sea water of transgressive sea-basins or the water of large lakes which were formed by the crustal block movements and the rising of sea-level. The Archean greenstone belts produce large quantity of gold and base metals ; many deposits of the Proterozoic and younger ages are accompanied by noritic rocks of the layered igneous rocks. Almost all chromium deposits of the world are closely accompanied with harzburgites and not with lherzolites. Hence, ore deposits which are accompanied by ultrabasic rocks are related to Mg-rich ultrabasic rocks and not to Ca-rich ones. The Trood Massif of Cyprus is composed of layered rocks which include kieslager deposits. Irvine et al. (1983) and Harmer (1985) wrote that the origin of the layered rocks is the mixing of ultrabasic magma and basic magma. The kieslager deposits characteristically accompanied the initial geosynclinal igneous activity in the Basaltic Stage ; that is, the kieslager deposits were formed in rift valley basins related to deep fracture zones. The deep fault is a vent for basic magma from the asthenosphere and the ultrabasic materials from the lower lithosphere. Recyclic mineral elements ( e.g. Fe, Mn, Ti, V, Cr, Ni. Cu, Pt) may be derived from ultrabasic rocks. Ultrabasic rocks contain volatile materials such as H2O, 3He, and CO2 and CO which are the source material of diamond. The age of the Yakutiya kimberlite is Jurassic but the K-Ar ages of the phlogopite of this kimberlite are 865-450 m.y. (Davidson, 1964). Sobolev (1977) described the relic enstatite in kimberlite, and the key for the finding of diamond is the Ca-poor magnesian chrome-garnet. These evidences show that the genesis of kimberlite relates to primordial ultrabasic rocks. The main stage of the formation of kimberlite is the Basaltic Stage, and it reveals a close relationship between deep faults and kimberlite. The author considers that diamond deposits were produced under conditions of upward pressure due to rising basic magma and the existence of undisturbed hard, thick cap-rock layer of the cratonic provinces. The high pressure producing the kimberlite is not always accompanied by a great depth from the earth's surface. The genesis of the Kuroko deposits is closely related to the characteristics of the basement (Hunahashi, 1966 ; Ishihara & Terashima, 1974). It is impossible to explain the metallogenic province of the Kuroko deposits by the concept of biogenesis or the primary origin from mantle materials. It may have a recyclic origin. In the case of the Kuroko deposits the location of ore bodies is the crossing point of two tectonic lines, and the same condition appears in the case for diamond deposits and geothermal zones. Tungsten and molybdenum are elements with extremely high condensation temperature and the ore deposits of these mineral were formed almost entirely in the Basaltic Stage. This fact shows that these elements were transferred from the asthenosphere by the basic magma and they accumulated as ore deposits in anatexitic granitic magmas. Though most petroleum geologists consider the original material of petroleum to be kerogen, they have not thoroughly investigated the fundamental biological materials. The author considers that the drops of phyto-hydrocarbon in diatoms, coccoliths and algae are the original materials of petroleum. He also suggests that the remarkable dominance of petroleum production from formations after the Jurassic period is due to the high productivity of diatoms and coccoliths. Many big oil field are found in stable residual basins, thus the author considers that the origin of oil field is related to the stable condition of sedimentary basins. Generally speaking, the world climate of Mesozoic and Cenozoic times was warmer and more humid than that of the present and the climatic zonation was not as marked. It has been said that Antarctic glaciation began in the Cretaceous period ; this was inferred from the investigation of deep sea rafted sediments. This is not supported by palaeobotanical evidence. The cold climate of the Antarctic began in the late Paleogene, and the author considers that this was due to the creation of the circum-Antarctic current allowed by the submergence of the Drake Passage by the rise of sea-level. The depth of the Drake Passage is now about 2,500 m, yet this was a landbridge of Eocene times. The warm climates of the Mesozoic and Tertiary eras reflect the high content of CO2 in the atmosphere due to the violent acidic igneous activity in those times. The increase of the CO2 content of the atmosphere and Ca content of sea water derived from the basaltic lavas of the ocean bottom produced abundant calcareous pelagic planktons, and the high content of CO2 in the atmosphere made possible the luxuriant growth of land plants. We can see a very interesting coincidence in the distribution of granitic batholiths and coal fields on the circum-Pacific region. Increasing CO2 content in the atmosphere caused the extinction of the large reptilian fauna at the end of the Cretaceous, and the high content of carbonic acid in sea water caused the extinction much of the marine molluscan fauna. Though an abrupt extinction of the terrestrial and marine faunas occurred in the late Cretaceous, the land and marine plants flourished remarkably. The author considers that such phenomena might have been caused by the high CO2 content of the atmosphere and hydrosphere. The onset of the glacial period during the middle Pleistocene was accompanied by decreasing volcanic activity. In the Kanto district of Honshu Island, Japan, the thickness of the volcanic ash of the early Pleistocene is over 20 m, but it decreases and becomes only 1 m or less in the latest Pleistocene. The reduction of volcanic activity in the Pleistocene is reflected by the development of strato-volcanies. The volcanic activity of the Pliocene and early Pleistocene produced ignimbrites owing to high geothermal temperature conditions, but the lavas of low temperature after middle Pleistocene formed the strato-volcanoes, because the K2O content of the lava increased and the viscosity increased. Slight recovery of the climate of the Holocene might have been caused by the return of CO2 from the sea water back to the atmosphere. The lithosphere is the upper layer of the Earth, and it is divided into the crust and the uppermost mantle. The boundary between the crust and the uppermost layer of the mantle is the Moho-discontinuity, it being distinct at the oceanic basins and continental platforms but not so clear at the mobile belts and the oceanic ridges because in many cases these regions have transitional layer. The lithosphere is underlain by the asthenosphere. There are two hypotheses about the origin of the Earth : the one is the concept of homogeneous accumulation of chondrites and the other is heterogeneous accumulation theory. The author accepts the heterogeneous accumulation theory. He considers that the original materials of the Earth's lithosphere are the carbonaceous chondrites or enstatitic chondrites which contain the volatile materials. The component materials of chondrites were condensed with the cooling of the solar nebula. The elements at high condensation temperature were condensed in earlier stage, and they accumulated in the deeper part of the primitive surface layer of the Earth. The condensed elements under high temperature such as Ca and others are mainly composed of chondrites which accumulated in the upper mantle in the earlier stage, whereas the chondrites with volatile components which made up the primitive Earth's lithosphere are characterized by such elements as Mg, etc., whose condensation temperature is lower than 1500ﾟK (at 10-4 atmospheric pressure). The primitive lithosphere was differentiated into the granitic upper layer and the ultrabasic lower layer by igneous activity at high-temperature/1ow-pressure. The driving force of this event was the atomic energy of 40K and other short-lived radioactive elements. The depletion of primitive atmospheric components and sea water would have taken place simultaneously. From the Archean to the Cenozoic eras, the feldspars of the granitic rocks have been gradually changed from alkaline feldspars to Ca-rich feldspars, and this evidence becomes distinct in the Basaltic Stage (Mesozoic and Cenozoic eras). The Archean granite had the driving force (40K and others) in their own components, but the granitic rocks in the Basaltic Stage had no energy sources for melting, and were recycled by the heat from basaltic magma from the asthenosphere. In the case of the formation of recyclic granitic magma, Ca and Sr were transferred from the basaltic magma to the granitic one. The main carbonate rocks in the Precambrian time are dolomite and those of the Basaltic Stage are limestone. This fact shows that Mg was derived from the old ultrabasic rocks of the lower lithosphere and Ca from the younger basic magma of asthenosphere. The occurrence of diamond and high pressure alkaline volcanic rocks are characteristic of the Basaltic Stage. These high-pressure materials were not formed in the deep high-pressure layer of the upper mantle, but they might have been formed in the lower crustal layer where there existed thick hard cap-rocks and upward high-pressure caused by mantle diapirs. Tungsten and molybdenum are the elements with extremely high condensation temperature, and the ore deposits of these minerals were formed only in the Basaltic Stage. This fact shows that these elements were transferred from the asthenosphere by the basic magma. The type of tectonic movement changed from the Granitic Stage (the Archean era) to the Basaltic Stage. The tectonic style of the Granitic Stage was a pan-global geosynclinal type associated with shallow but high-temperature magmatism. The Transitional Stage (the Proterozoic and Palaeozoic eras) was characterized by the upheaval of the large domal central massifs accompanied by the activity of the thick layered rocks and the relative depression of marginal geosynclines. The central massifs may be divided into two classes, one is the late Precambrian peneplain (old platform) and the other is the late Palaeozoic peneplain (young platform). These platforms have been transformed into inland lowlands, inland sea basins and ocean basins. The type of tectonic movement in the Basaltic Stage is predominantly marked by linear rifting structures and faulted blocks which are mainly the reactivated Archean structures. In this stage, there was no energy source for magmatic activity and tectonic movement in the lithosphere, whereas the high condensation temperature element such as 238U was accumulated in the deep upper mantle. The partial melting of asthenospheric materials was brought about by the decay of 238U. These melted and expanded materials rose up into the crust and flooded over the ocean floor. The flood basaltic layer over the ocean floor caused a remarkable sea-level rising. The author believes that the sea-level rise since the late Jurassic amounts to about 5 km. In the continental province, the high-pressure basic magma was intruded as sills, laccoliths and lopoliths into the crustal layers, and they caused upheaving of the Earth's surface as block movements. The places which were not affected by these upheavals created furrows or basins. There occurs no absolute subsidence (contraction of the Earth) without ejection of the internal materials such as volcanic ejecta or extrusion of groundwater. The rising of sea-level and land surface were markedly developed in the Neotectonic Period (early Pliocene to early Pleistocene). The history of the Earth's lithosphere is neither a uniformitarian-cyclic-concept (Charles LYELL) nor dialectic-evolutional-process (ZHANG Wenyou), but it may be the development process from birth to death.